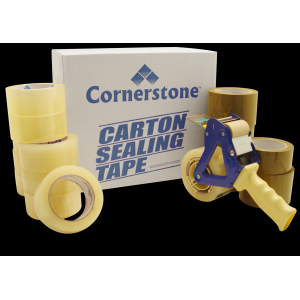 If you need tape, we are your one-stop shop for any tape or tape products. If your interests lie in packing tape, packaging tape, double sided tape, carton sealing tape, or even scotch tape, we have what you are looking for. From masking tape to glazing tape, we can supply your tape needs. We even carry name brand tapes such as 3m, Intertape, tesa® and Central. Our friendly customer service and sales teams are available to assist you with any of your questions regarding the packaging tapes we carry. We will make it our number one goal to get you the packaging tape, fastening tape, or masking tape products you need as quickly as possible and at an affordable price.